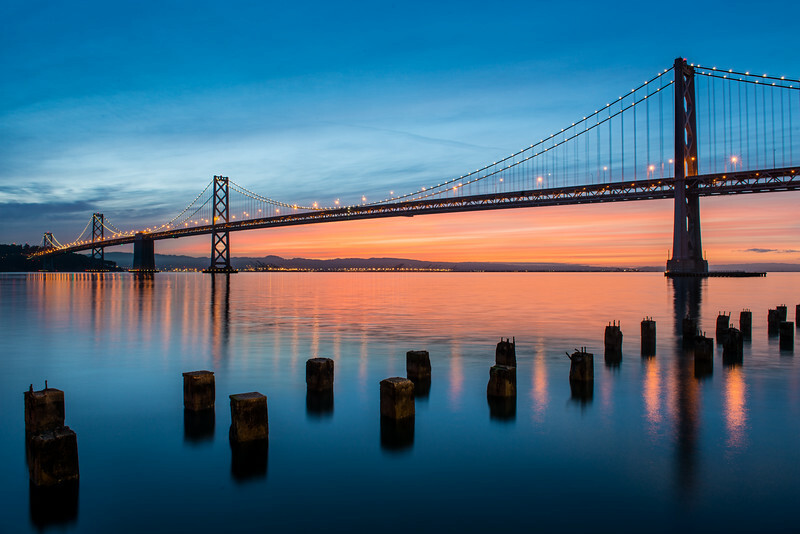 Willie and I got up early one morning in April and drove up to the Bay Bridge. We were hoping for some nice cloud action but the clouds disappeared before sunrise. We were really the only ones out that early in the morning and it was nice to see the Embarcadero so empty!